This entry was posted in Meeting Agendas on July 11, 2013 by Chris Boone. 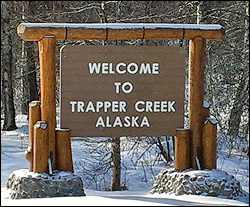 •	In lieu of speed reduction through Trapper Creek, DOTPF wants flashing beakers at Parks Highway intersecting with Susitna & Petersville Roads. Flashing yellow on highway; flashing red on intersecting roads. •	DOTPF update on Petersville Road project – hope to get funding this winter and start in spring 2014. 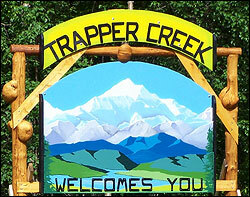 Petersville Road from pavement break to Kroto will be resurfaced (gravel) this summer 2013. Date of next meeting scheduled for July 18, 2013 at 6:30 pm. This entry was posted in Meeting Minutes on July 11, 2013 by Chris Boone.